MINDBODY is a gym management software the enables business owners to streamline their facility operations. Its features include client and staff management, room and equipment scheduling, payment processing, POS, and more. In this article, we covered user reviews and pricing. Ready to try MINDBODY? Request for a demo. Users who gave MINDBODY a positive review said that it has a simple and user-friendly interface. Some of them also mentioned that it has efficient and convenient scheduling options. One user who gave MINDBODY a positive review on G2 Crowd said that it is a highly functional tool, which allows him to accept client bookings, review monthly reports, keep track of daily sales, and revise schedules. He also commended the availability of a mobile app, which makes it easier to connect with customers and staff. Users who gave MINDBODY a negative review complained about occasional app downtimes. Some of them also mentioned that the subscription rates are expensive. One user who gave MINDBODY a negative review on Capterra said that the program malfunctions occasionally, which might lose them the opportunity to gain more customers. He also complained about the unresponsive customer service team. MINDBODY offers three subscription plans: Essential ($125/month), Accelerate ($195/month), and Ultimate ($395/month). The main difference between the plans is access to premium features such as a custom mobile app, advanced reporting, referrals and rewards, room and equipment scheduling, advanced scheduling options, and two-way SMS notifications. 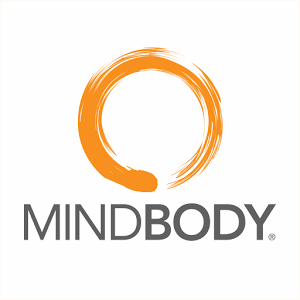 Ready to try out MINDBODY? Request for a demo. Can MINDBODY users access client bookings and staff assignments even when outside the facility? Yes. MINDBODY has a mobile app where users can view their gym’s day-to-day activities and operations, including schedules, payments, and appointments. The app also allows users to accept or cancel customer bookings. What types of businesses can benefit from MINDBODY? MINDBODY is used by a wide range of businesses including fitness, yoga, spa, massage, dance, salon, personal training, wellness, pilates, martial arts, and more. Not sure if MINDBODY is the right fit for you? Read our reviews of all top gym management software or check out one of these three MINDBODY competitors. The company has so many options for reports, classes, payroll, and the customer service is really great! Sometimes it takes a little time to get to customer service, however, they will call you back. The system is not as intuitive as it could maybe be. That there are so many options! MindBody is the industry standard when it comes to online scheduling software for fitness and yoga studios. It’s widgets and links that integrate on various websites make putting your schedule online easy. From the schedule widget, students can search for classes by various parameters, click to read more, or book a class. The pricing for MindBody is a bit steep, but it really is the only reasonable option for scheduling software so you might as well just count on paying it. The added cut MindBody takes for online booking via Mobile is frustrating however. Adding specific links to your website (using code) can be tricky if you are not used to coding. I wish all the fees that MindBody takes were more transparent. Their software has a wide variety of settings for classes, workshops, and appointments. Many different ways to set up compensation for your staff for payroll. You can embed schedule widgets on your website and can get a custom app. The prices continue to increase significantly. That you only have access to one merchant processor for your credit card payments.